She throws foals that are good looking , with size and they can bloody run!!! 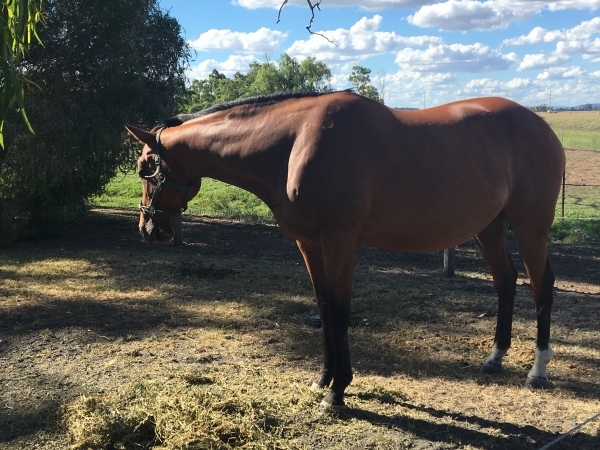 Ok, she's getting on a bit, but i'd rather breed from a mare that can get one to the sales that has proven commercial appeal, than a young mare that you have no idea what they are going to produce! And if you're breeding to race, you know she can get a good 'orse!!! 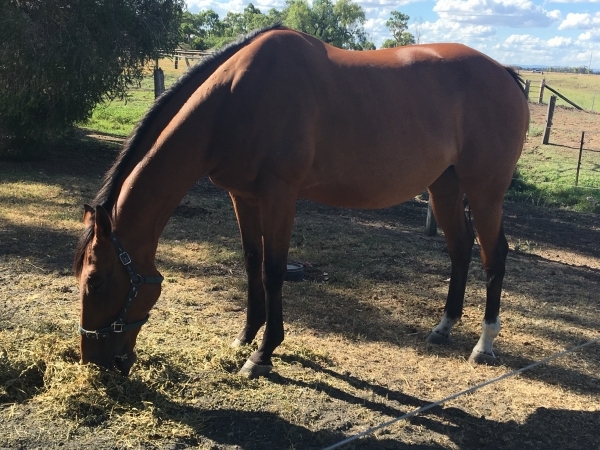 NOT IN FOAL, Sold empty. 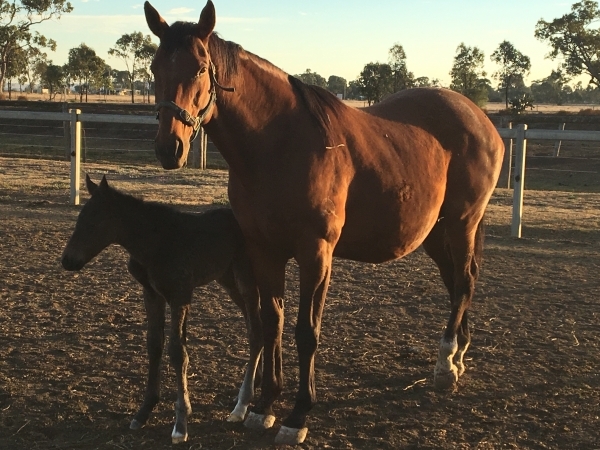 Produce Record:Dam of three named foals, all winners. 2011 HONOURABLE TYCOON (g by Written Tycoon). 5 wins 1100m to 1600m, $139,065, to 2017-18, MRC Schweppes H.. **Huge boom on him after he won a trial at flemington and looked like a potential star! **Footage of him as a yearling going through the ring HERE, her 1st ever foal!!! 2015 Not served previous season. 2017 (c by Spill the Beans). 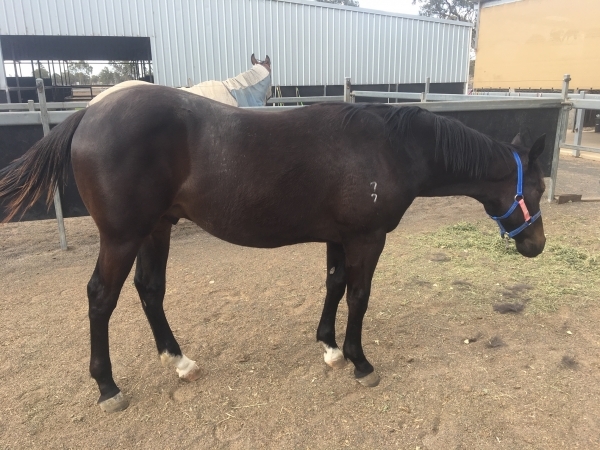 Pic attached an absolute CRACKER who made it into a leading sale, owner deciding to keep and race. 2018 (f by Hidden Dragon). Missed to Better Than Ready. Enough here to suggest you could be getting an absolute bargain, so stop procrastinating and let's make a deal!!! HONOURS LIST (IRE) (1998). 2 wins at 2, Curragh Railway S., Gr.3. Sire of 334 rnrs, 205 wnrs, inc. SW Triple Honour (AJC Doncaster H., Gr.1), Tabulate, etc. Sire of the dams of 111 rnrs, 56 wnrs, inc. SW Danger Close and of Hearts Honour, Just Orm, Crystal Amor, Cobber, Crafty Tycoon, Last Witness, Magnus Cor, Honourable Tycoon, Scouting Around, Well Hardley Ever, Hanwritten, Heart Smart, Gamer Royale, Smasher, Tamban, Colour Witness, etc. Game Hunter (g. by Thunder Gulch). 5 wins from 1200m to 1700m, VRC Polo Prince H., 2d MVRC Meadow Hills Vegetable Marketing H., QTC Paint the Town Red H., 3d QTC Bill McGovern H.
Miss Evergreen (f. by Honours List). 4 wins-1 at 2-to 1200m, A$100,680, VRC Rainbird H., Long Tan H., MVRC Melbourne's GPO H., 3d MVRC City Pacific Finance Beaumaris H., MRC Danzero H.
Estelito (g. by Jade Robbery). 2 wins at 1300m, 1650m in Aust. Cape Moreton (g. by Don't Say Halo). Winner at 1200m in Aust. She's Pretty Zippy. Winner at 1100m in 2018-19 in Aust. Just Average. Winner at 1000m in Aust. DOYOUDARE (Langfuhr). 8 wins from 1400m to 2200m, A$400,225, WATC Tattersall's Cup, L, Farewell Takeover Target H., Rogan Josh H., Amelia Park Welter H., Fishers Circle H., Dandaragan Organic Beef H., Marjoleo H., Starbaleta H., 2d WATC GA Towton Cup, L, 3d WATC Strickland S., Gr.3, York S., L.
Jetoomy (Reset). 7 wins from 1100m to 2100m, A$260,750, to 2017-18, WATC Gold Membership H., Rommel at Mogumber Park H., Crown Towers H., Get the Tabtouch H., 3d WATC Belmont Classic, L.
Playing Marika. 3 wins to 1400m in 2018-19, WATC Glenroy Chaff H., Amelia Park Beef H.
Let's Go Lakers. 3 wins-1 at 2-at 1100m, 1800m, A$113,582, WATC World Plumbing Day Trophy H., 2d WATC Karrakatta Plate Raceday H., 3d WATC Westspeed Nursery H.
Miss Tahitian. 7 wins to 1400m, A$182,712, WATC Careers in Racing H., Westspeed 3YO H., Magic Millions Perth Yearling Sale H., Vale EIH (Harold) Jarvis H., Balerin H. Producer. Rocky's Brother. 4 wins at 1400m, 1600m, A$140,265, WATC RJ Priestman H., 2d WATC Skyracing.tv Provincial Championship Series Final H., Amelia Park Trophy, Perthracing.com.au H., Ascot Corporate Villas H.
Black Carat. 3 wins to 1100m, WATC Tabtouch.com.au H., 2d WATC PR Christmas in July H.
Bloomy's Sun. Winner at 1400m in 2017-18, 2d WATC Morley Growers Market H.
Imortalite. Winner at 1700m in 2017-18 in Aust. GEM SONG (Your Song). 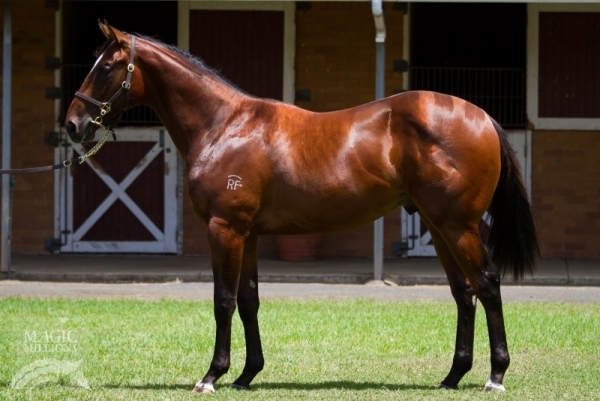 4 wins-2 at 2-to 1300m, A$309,095, to 2018-19, ATC Eskimo Prince S., Gr.3, TAB Rewards 2YO H., Cabra-Vale Diggers H., Pride of Dubai at Coolmore 2YO P., 2d ATC Dulcify H., L.
2011 g. Honourable Tycoon, by Written Tycoon. 5 wins from 1100m to 1600m, A$139,065, to 2017-18, MRC Schweppes H., 2d MRC Mitavite Challenge Heat 4 H., Buxton Real Estate Geelong P., MRC (Mornington) Mitavite Challenge Final H., 3d VRC Racing.com H., MRC Schweppes H., Polytrack H., William Hill H.
2013 g. Just Orm, by Falvelon. 5 wins-1 at 2-to 1100m, A$247,050, to 2018-19, SCTC Yalumba 2YO H., BRC Magic Millions Life Changing H., Coolphase P., CFMEU Construction & General H., SCTC Yaroomba Beach H., 2d Toowoomba Plastics P., 3d BRC Hamilton Hotel 2YO H., Hillross Montefiore H., Lunar New Year H., Invertek Drives P., Mark Cotterell Jeweller H., Prive249 Restaurant P., 4th BRC Mick Dittman P., L.
2014 g. Letitrippotatochip, by Immovable Option. Winner at 1000m in 2018-19 in Aust. 2017 c. by Spill the Beans. 2018 f. by Hidden Dragon. Slipped in 2012; not served in 2014, 2015. Served by Better Than Ready. Date of last service, 28.10.2018.